It's the first snowfall of winter and the little girl in this story is filled with that sense of wonder we all experience when the world turns white. 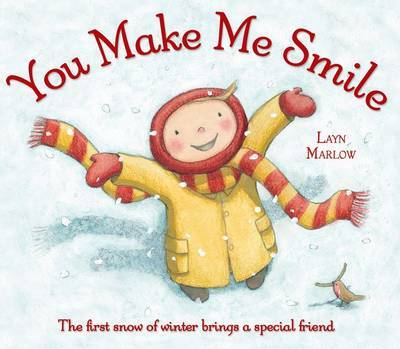 She builds a snowman and gives him a twig smile so that they may share a moment of happiness and know the promise of a friendship that will be renewed each year. Told through a simple narrative and with stunning illustrations, this is a book that focuses on the bonds of love and friendship and the pleasure we can give to each other with just a smile: messages that are perfect for the Christmas season.